Be inspired and encouraged with a weekly reflection on God’s Word and every day life. Every year, people wait for March 1st, and then say in great hope of spring when it is usually still very cold outside: “In like a lion, out like a lamb.” In the coming month as the Earth continues its orbit around the Sun, we will tilt as a planetary community towards the Sun (at least in the Northern Hemisphere). We won’t necessarily get any closer to the Sun, but our orbit will tilt us TOWARDS IT, making us warmer by the end of our late winter’s journey. This year, Lent begins rather late, in fact today, and I’d like to suggest: “In like a sinner, out like a saint,” in hope of what will happen this Lenten season. In the next 40 days of Lent, I hope we will all choose to tilt towards God and grace, as we continue our daily lives, both alone and in community, even if we don’t feel closer to God and grace while it’s happening. I hold this hope not only for myself, but for all those around me: my family, my friends, my students, my colleagues, my neighbors and even I suppose my enemies. How does this happen? Traditionally we are told to include fasting, almsgiving and prayer. Whatever we do to live these out in our lives, they connect us more closely both to God and neighbor. As we spin around the globe each day of Lent and make our journey that will tilt us towards God and grace, so we will naturally warm up to one another too. This Lent remember it’s not just about God and me. It’s about all of us together on one planet, leaning into the inexhaustible grace and mercy of God. We are all called to become saints together by our leaning into God and to one another and to the warmth of whatever we need to thaw our frozen hearts to make them ones of flesh again. May we support one another well on this Lenten journey in the coming days! I first heard that phrase about 50 years ago in my high school English class. We experienced Siddhartha and Bhagavad Gita and more Eastern literature, but this phrase has stayed and gives pause when I hear it. It seems there are different translations of it, and maybe even spellings of it, but the one that catches me now is “God is IN everything”. Do I really believe that? If I do what does it look like in the day to day? Well, it could mean that I don’t help the homeless person on the corner because God would want me to or because I was taught to love my neighbor; but because God is in that person just as much as God is in me. It could mean that in order to truly live a life of compassion, I can’t hate or kill based on ignorance or fear or my own self, because by doing any of those things I am dishonoring God in my self but also God within the person or creature I am harming. I cannot pick and choose who is a good person and who is not because all have God within them. As I look around at the situations in our present world on so many levels, it really is difficult to say that God is within all things because there is so much going wrong; somehow I am seeing that it is because I have continued to only see God within those who live according to my standards. How much am I missing when I fail to acknowledge that God is within, that “God is IN everything”. I intended to write about another subject this month, but I did not have enough time to do the research it would require, and I just was not “feeling it”, so another time…. Instead, I write about what I am really feeling— and that is a great excitement and gratitude for completing a project we started three years ago. 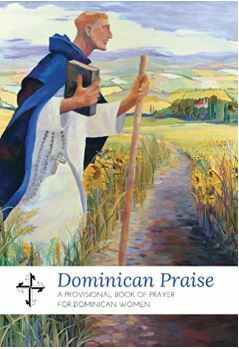 This week, we launched the electronic edition of “Dominican Praise, a Provisional Book of Prayer for Dominican Women”. It is a new e-book edition of the Liturgy of the Hours, which was first published in 2005 by eight Dominican congregations in the US. It was a project with every reason to fail. We had many moments when we could have given up in the face of naysayers, software glitches, tedious, monotonous work, anxiety about whether we could actually do it and worries about whether or not anyone would actually want it. (Ok, we could not imagine anyone not wanting this book). Here we are now at the launching pad, the countdown is complete and the rockets have fired. For the next few months, word will get out and we hope that many Dominicans will discover this beautifully-written treasure. In addition to the acknowledgments of the many sisters previously listed in the 2005 original edition of Dominican Praise, I want to express my deep gratitude to a number of sisters and lay partners who carried this project for many months amidst other responsibilities and demands. In particular, I want to thank the members of the Mission Advancement and Communications Office of the Dominican Sisters of Peace who worked on this in a number of ways. 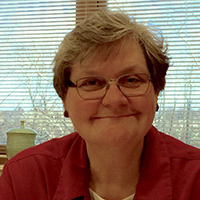 Ashley Apollonio created the electronic edition from original digital files, designed the cover, and other innumerable contributions. Ashley is responsible for the look and feel of the book and in many ways, this was her baby. Ashley, we are so proud of your work! 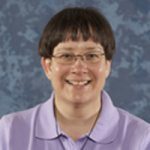 Alice Black, Ph.D., OPA, tirelessly shepherded the electronic conversion software requirements and found ways around obstacles, roadblocks and errant software code. 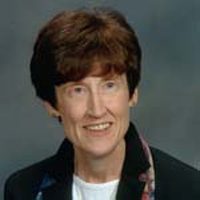 Mary Ellen George, OPA, helped to proofread. 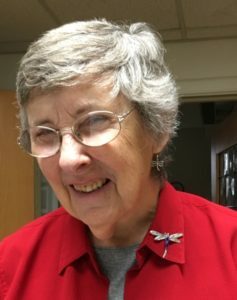 Sr. Honora Werner, OP, Sisters of St. Dominic of Caldwell, NJ, made sure the chant markings were correct, a tedious labor of love. 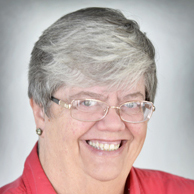 Sisters Judene Lillie, OP, and Denise Bourgeois, OP, helped clarify some copyright permissions. My role was to keep the project moving, seek and acquire copyrighted reprint permissions, and provide the guidance and leadership needed to bring it to completion. Tom Henry edited and enhanced my video tutorials and polished them to an attractive shine. Finally, we are indebted to the Leadership Team who gave invaluable support and encouragement to everyone who collaborated in its completion. The electronic edition of Dominican Praise offers up the beauty and soaring language of the psalms to new generations and new Dominican audiences. It makes the original edition accessible in a new and broad way and our hope is that members of our English-speaking Dominican community will find inspiration in its pages. The Dominican Praise e-book is available for Android and Apple devices on Kindle through Amazon.com. You can use it on a tablet, iPad, or smartphone. Font sizes and styles are adjustable, bookmarks, highlighting and other Kindle features make it easy to navigate. Be sure to use the tutorials at www.oppeace.org to know how to find your way around the book. Holiness is a word which eludes precise definition. It’s definitely an attribute of God. “Be holy as the Lord your God is holy,” and it is about awe. (“Take off your shoes”) and Otherness, what we think might be unattainable perfection. As applied to human beings it could be wholehearted commitment to living the Christ-Life, sanctity or blessedness as in the Beatitudes. I like the translation of the word Shaman: “God-invaded person.” We are called and chosen to be a holy people. But there is a broader and deeper way of seeing-as, the inSpirited imagination, which is able to go beyond the surfaces and the predictable, to view things in the present moment with God’s eyes, God’s tender care, and God’s dream of what might be possible for any human being; that call coming from the future, the call from the One who makes everything new. So here we are, today’s Christians as the Holiness of God incarnate, defined in and by that holy mystery of Jesus, the Passion-Death-Resurrection, formed by the Saving Word, living in the Spirit’s power, imagining with God’s Sight the heights and depths and lengths and breadths of love. So, our call? See, and see to it. Or we become jealous. Why have I been overlooked? Why was she picked when I have some those same skills? That’s where today’s second reading comes in. Paul tells us to strive for a more excellent way. He says that “love is not jealous, it is not pompous, it is not inflated, it is not rude, it does not seek its own interests”. Can we not rejoice with the accomplishments of others? Jesus was not looking for praise or recognition. He simply wanted God’s Word to be known to all. His mission was to “bring glad tidings to the poor…to proclaim a year acceptable to the Lord.” His word was open to all who wished to follow. He didn’t give special treatment to others just because they knew him. He came to serve and not to be served and taught his followers to do the same. Jesus didn’t let their anger and their envy get to him. Like Jesus let us pass over the self-centered feelings that arise and rejoice in the gifts and goodness of others.